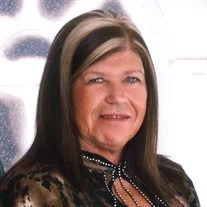 Becky Lee King, 61, of Chickamauga, passed away Saturday, February 2, 2019. She had lived in the Chattanooga area for most of her life and attended Stanfield Baptist Church in Cleveland. She was previously employed with Tap Heating & Air as a secretary for more than 16 years and loved traveling, especially to Pigeon Forge and Gatlinburg. She was an avid Alabama Football Fan, “Roll Tide,” and enjoyed spending time with her family and friends. She was preceded in death by her parents, Bobby & Doris Sammons; husband of more than 34 years, Ronnie King; and brother, Darrell Sammons. Survivors include her son & daughter-in-law, David Chadwick & Kelly King and their children, C.J., Sydney and Eli; James Jenkins & family; and numerous extended family & friends. Funeral services will be held at 2 p.m. Thursday, Feb. 6 in the Fort Oglethorpe Chapel, with Bro. Eric Geren and Bro. Randall Jenkins officiating. Burial will follow in the Tennessee-Georgia Memorial Park. The family will receive friends after 3 p.m. on Wednesday and prior to the service on Thursday at the funeral home. Arrangements by W.L. Wilson & Sons Funeral Home Fort Oglethorpe.